A very important recent exposition of one of the most important underlying elements – used to make fire, crucial items like weights and much else – of ancient Indus civilization and its connection to, in particular the Rohri Hills (north of Mohenjo-daro in Sindh). The authors write: "Although the economic importance of chert [flint] exploitation of the Indus Civilization has often been underestimated by most archaeologists, as it is evident reading the published narratives about its handicraft, trade and production, there is little doubt that this raw material played a fundamental role in the economy of the Indus cities, also as main alternative to metal for making well-defined tools for specific handicrafts. 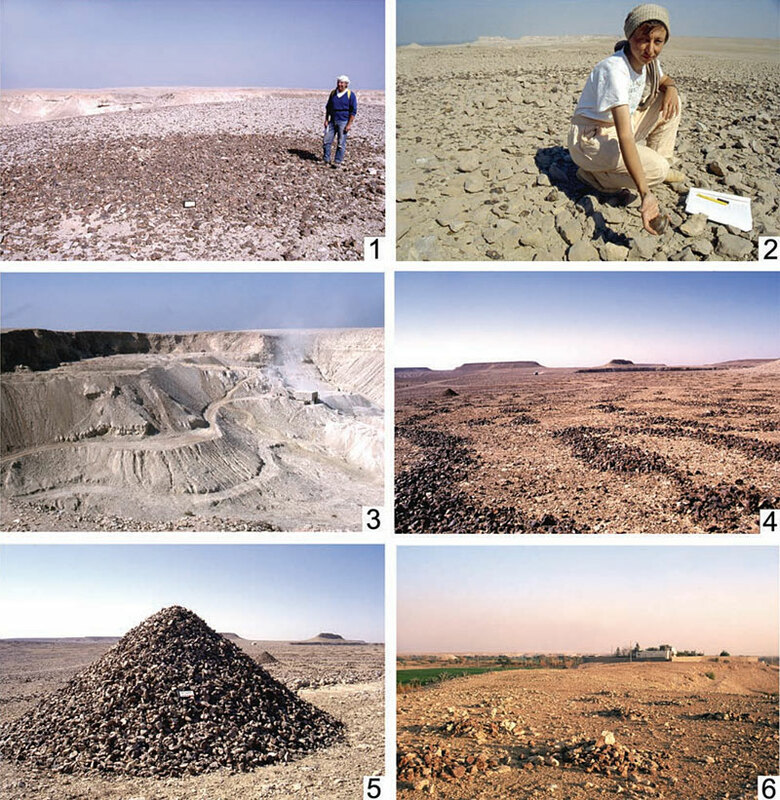 This paper summarizes the results of twenty-seven years of fieldwork carried out by the Italian Archaeological Expedition in Sindh in search for chert sources and documenting the Indus Civilization chert mining areas and workshops. It considers the available distribution of the chert outcrops, and the way they were exploited, the main characteristics of the lithic resources, their role in the economic system of the Indus world, the different stages of chipped stone tool production, and the available evidence for trade network throughout the territories covered by the Indus Civilization." The article was published as part of the wonderful Walking with the Unicorn Social and Material Culture in Ancient South Asia Jonathan Mark Kenoyer Felicitation Volume (Archaeopress, 2018). The authors conclude, among other things, that "it is important to point out that the study of chert usage at Harappa revealed an increase in quantity through time up to an almost exclusive use of Rohri Hills chert in coincidence with the Harappa Phase (Law 2011: 177) that is the Mature Indus Period, to which the radiocarbon dated RH-862 mining episode on the Rohri Hills, and its probably related bladelet production workshop, indeed belongs (Negrino et al. 1996). Sadly, as the authors also document, this incredible archaeological repository that are the Rohri Hills are also being systematically destroyed by mining and construction, removing from archaeology sites that survived literally for hundreds of thousands of years, making this work right now all the more important. Image above: Figure 10. Rohri Hills: Large Indus chert workshop along the south western part of the Shadee Shaheed hills (1 and 2), modern limestone quarry on the road to Sorah opened during the construction of the new bridge between Sukkur and Rohri in 1998 (3), heaps and piles of chert blocks and prehistoric artefacts in the Shadee Shaheed Hills (4 and 5), and Unnar Hills totally erased by limestone block workers (6) (photographs by P. Biagi and E. Starnini).